LookLocalWA's Perth directory puts you in touch with Limestone Blocks / Retaining Walls specialists near you. Limestone Blocks / Retaining Walls are the perfect way to finish off your newly built residential, commercial or industrial property. They look great and can keep unwanted people from entering without permission. Whether you require high 1.5m retaining walls - Perth or whether you need a lower retaining wall, there are many local businesses in your area who can provide this type of quality service at an affordable rate. From brick to limestone or concrete, there are many different types of materials for retaining walls - Perth to choose from. Choosing a material that is made from strong components such as limestone will ensure it will last a lifetime. If you’re unsure about which material to use for your retaining walls - Perth, ask your local supplier for expert advice or if they have a colour swatch to see what colours each of the materials come in. Whether you’re after a small or a large retaining wall, your local supplier will be able to supply you with quality materials for the job as well as installing your retaining wall. For expert advice, the latest supply of quality retaining materials or for retaining wall installation contact your local supplier. Search our list of local suppliers here at LookLocalWA today! Are you a tradie? Get your business listed on LookLocalWA today! Specialising in all aspects of Limestone Retaining Walls, Panel & Post Retaining Walls and Colourbond Fencing. Limestone Front Walls with Piers, Garden Beds and much more. I can submitt Council Applications & Designs if required on your behalf. 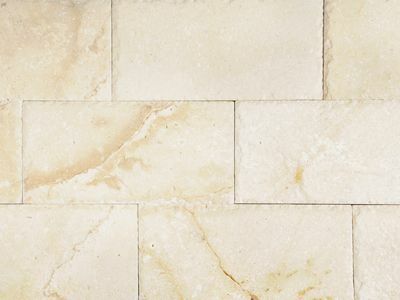 Looking for expert advise and friendly professional service please call Nick on 0448438146 or visit my website www.advancedlimestone.com.au. to find out more on how I can help you transform your home or business. Limestone Retaining Walls. WE TURN UP ON TIME TO GIVE YOU A FREE QUOTE! All types of limestone & feature work Fencing & Landscaping Domestic & Commercial Difficult jobs welcome. THE professional tradesmen at Al’s Limestone have built a reputation for excellence and value through their considered approach to landscaping homes. The business’s services include earthwork, retaining walls, brick paving, feature walls, piers, steps and screen walls. It also offers bobcat and excavator work. Business owner Allan works with a small and friendly team to provide a top quality job that exceeds clients’ expectations. Allan has 10 years’ experience in the industry, giving him the technical knowledge to convert a lacklustre exterior into a beautifully landscaped home. Alan takes pride in his work and the majority of his jobs come from referrals. The team aims to see clients within a week of their initial call, if not the next day. Al’s Limestone services most of Perth’s northern suburbs. Arexion provides a wide range of fencing, landscaping and constructions. Including gates, turf, reticulation, trenching, postholes, fencing, temp fencing, limestone and retaining walls. Using BlueScope products from Metroll and Stratco. We also provide kanga services, pool fencing, privacy fencing, paving & paving ramps, plant & garden maintenance, soil and mulch. We specialise from small properties to commercial or development sites. Arexion is a family operated business in Perth with more than 18 years experience in fencing, landscaping and construction we have the skills to give you the security, privacy and look you want using quality products that will last you a lifetime. Arexion has three highly skilled fencing, landscaping and construction teams that can add your individual requirements with minimal fuss and mess to your property. From minor repairs to large scale improvements to your outdoor areas, Arexion is a one stop shop that guarantees it's work. JJN Limestone. Retaining Walls Garden Beds Repairs to existing walls any stonework. Free Quotes.